CROMA-PHARMA GMBH (Leobendorf, Austria) is moving forward in its global brand harmonization plans: the previous HA filler brand ‘Princess®’ is replaced by the brand ‘saypha®’ in a gradual process throughout international markets, focusing on Europe in the first place. Croma’s Managing Director, Andreas Prinz, explained, ‘By replacing Princess® with saypha® we actually pursue several different purposes. Primarily, Princess® is not a suitable and approvable brand for all our current and future markets. Furthermore the saypha® brand is consistent with Croma as the all-encompassing umbrella brand, introduced in 2017, under which every product can be streamlined and marketed with a unifying look and feel around the globe. saypha® RICH (CE 0459) replenishes the loss of hyaluronic acid due to aging, improves hydration, tone and elasticity of the skin and corrects small lines. The product is injected into the superficial dermal layer. saypha® FILLER (CE 0459) and saypha® FILLER Lidocaine (CE 0120) corrects moderate to severe facial wrinkles and folds and increases lip volume (only applicable for saypha® FILLER Lidocaine). The product is injected into the mid to deep dermis. saypha® VOLUME (CE 0459) and saypha® VOLUME Lidocaine (CE 0120) is intended for the correction of deeper wrinkles and folds and for building facial volume/ remodeling facial contours. The product is injected into a deeper skin layer (deep dermis or subcutis). saypha® VOLUME PLUS Lidocaine (CE 0120) is used for facial tissue augmentation in order to correct midface volume deficit and shape the contours of the face as well as for reconstructive purposes in the treatment, for instance, of facial lipoatrophy. The product is injected subcutaneously, supraperiosteally or into the deep dermis. All products are based on non-animal derived hyaluronic acid and are manufactured in accordance with the highest safety and quality standards. The filler range is complimented by an award-winning glass syringe designed to promote an easy, smooth application while being free of any potential compounds that might leach into the gel within the syringe and compromise purity. 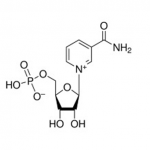 About Croma-Pharma GmbH Founded in 1976, Croma-Pharma GmbH (Croma) is an Austrian family-owned company specializing in the industrial production of hyaluronic acid syringes in the fields of medical aesthetics, ophthalmology and orthopaedics. Croma currently runs 10 international sales companies and distributes its products in more than 70 countries. Within its global sales network Croma focuses with own branded products on minimally invasive aesthetic medicine. 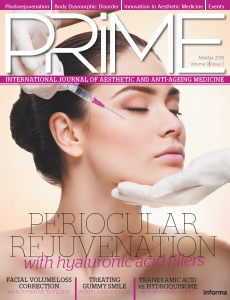 Besides a broad range of HA fillers from the own production site, Croma markets PDO lifting threads, a Platelet Rich Plasma (PRP) system and the personalized skincare technology UNIVERSKIN in its core strategic markets. UNIVERSKIN allows for the most individualized, customizable skincare with more than 1,100 possible combinations of ingredients for patients’ specific skin needs.